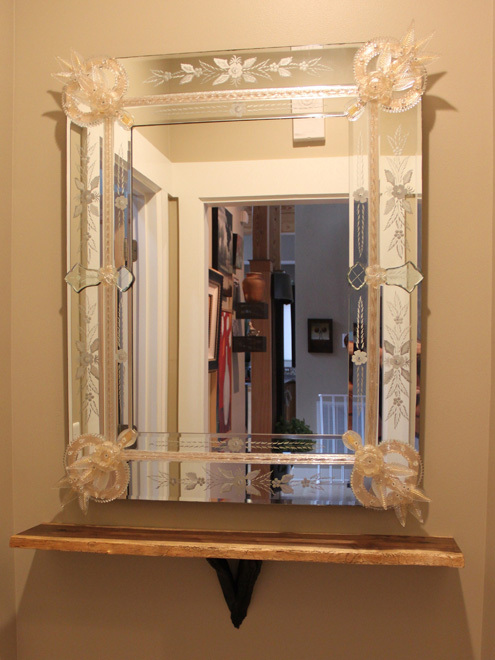 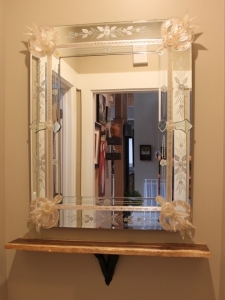 This simple accent shelf was requested by a client for utility and to visually ground a large handmade mirror from Venice. 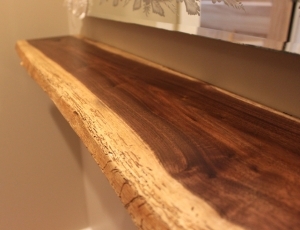 The live-edge walnut board maintains a good example of the light blonde sapwood that grows on the outer rings of the tree. 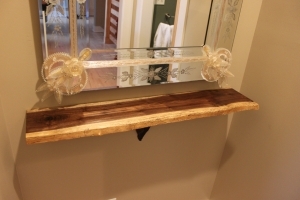 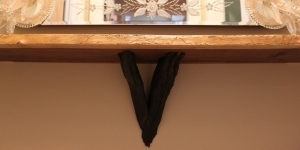 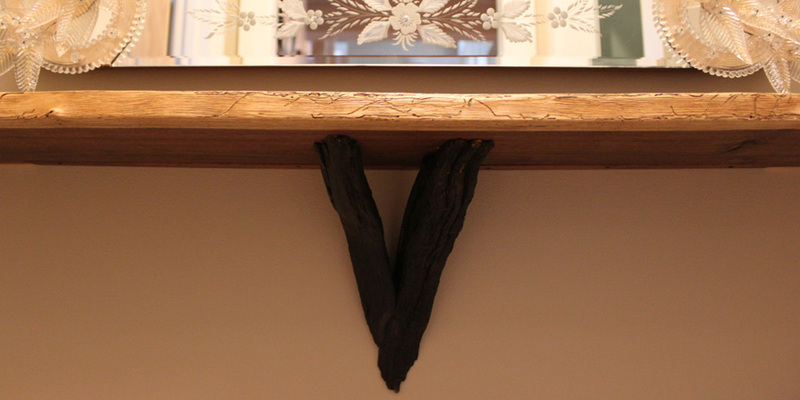 The shelf was attached to the wall with hidden mounts as well as a hardwood support underneath, charred for color.